The last thing you want on Valentine’s Day –or any romantic occasion–is ending up with your lipstick all over your partner's face. It is even worse than walking around with lipstick on your teeth and not realising it. You need a lip colour that is long-wearing and transfer-proof whether you are giving someone a quick peck or a passionate kiss goodbye. These 10 kiss-proof lip colours will keep your pout in tact. 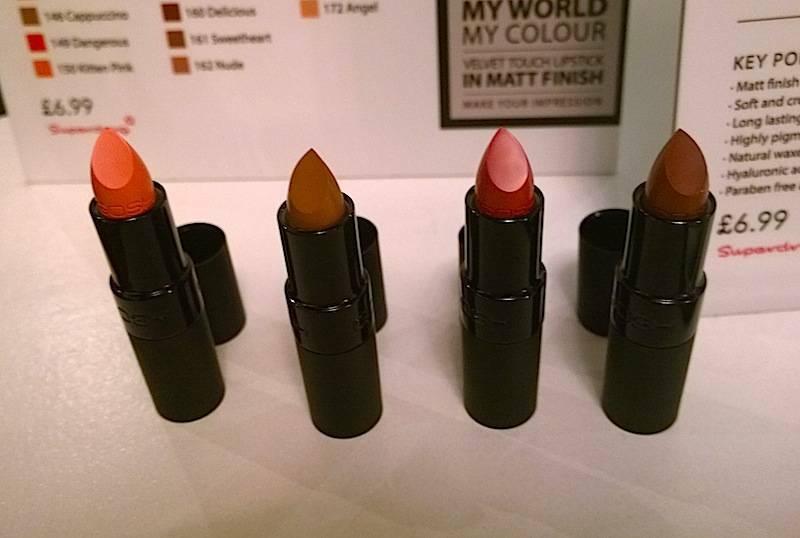 GOSH Velvet Touch Lipstick Matte These new Lipsticks by GOSH delivers long lasting pure colour with a matt finish. They are filled with natural waxes and hyaluronic acid to moisturise, hydrate, smooth and sooth your lips. The creamy texture makes it easy to apply and delivers an even and long lasting results. MAC Pro Longwear Lip Colour in Cling Peach You can kiss, eat and drink your way through the day and this lippy will stay intact. It is transfer, run, feather and smudge-proof. Apply the base color then swipe on the clear gloss for a bit of shine and comfort. Maybelline SuperStay 24 Hour Dual-Ended Lip Colour in 611 Crème Caramel You may not need 24 hour lip colour, but you have it with this dual-ended lippy. It will not crack, transfer, feather or fade. Your lips will look as good at the end of the day as they did in the morning, so go kiss away. Barry M Lip Stain Paint in Eternal Coral If you love a velvety matte lip finish, this is the product for you. Not only will you love the texture, but you will love the formula that doesn’t quit or come off. Apply it then forget about it. Estee Lauder Pure Colour Envy Liquid Lipstick in Naked Ambition This innovative lippy has an oil elixir-infused formula that makes it comfortable to wear. Plus, it gives the lippy a satin-matte finish. As for lipstick smudges, you will be asking yourself, ‘What lipstick smudges?’ when you wear it. Rimmel London Provocalips Lip Colour in Little Minx The only lipstick prints you are ever going to get with this one are the ones on the packaging. This two-step lippy gives you 16 hours of wear. It is transfer, food and kiss-proof so your lips will look flawless from dinner to drinks to goodnight kiss. Max Factor Lipfinity Longwear Lipstick in Indulgent Longwear always sounds nice, but who doesn’t love the sound of Lipfinity? This two-step lip colour is going to see you through any situation. Apply the base coat colour and finish it with the moisturising top coat. Yves Saint Lauren Rouge Pur Couture Glossy Stain in 16 - Fuchsia If you want the long-wear of a lips stain but you’re not a fan of matte finishes, try this. It mixes a gloss, lipstick and stain together for a product like you’ve never tried before. The best part is you don’t have to be concerned with leaving lipstick marks. Benefit Benetint Lip and Cheek Colour Why just use a long-wearing formula on your lips when you can also get one for your cheeks? This two-in-one product gives your features a subtle hint or colour that will last and last. If you want a naturally flushed look, apply a few spots with the mini brush and blend them in. Seventeen Stay Pout Lipstick in Rule Breaker This lip colour stains your lips with bold color that will not come off. You do not need to worry about touch-ups or transfers thanks to the long-wearing formula. Now you know the right long-wearing lippy, you never have to worry about your lipstick living an awkward mark anywhere or on anyone.